Buy, rent or sell Disney Hilton Head Island Resort for a sun drenched South Carolina vacation. You and your guests can expect high-end luxury and spacious units every year you return. The secluded, 15 acre waterfront resort is set of the shores of Shelter Cove Harbor. This timeshare on Hilton Head Island is perfect for families of all sizes and visitors of all ages. Find a wide range of entertainment and activities are included when you purchase a Disney's Hilton Head Island Resort timeshare package. Unpack your bags and enjoy your home away from home with delightful amenities, grounds, activities and much more in a large roomy area jam packed with everything you need in Disney vacations. Buy Disney Vacation Club timeshare property and rejuvenate your inner youth having fun in the sun. 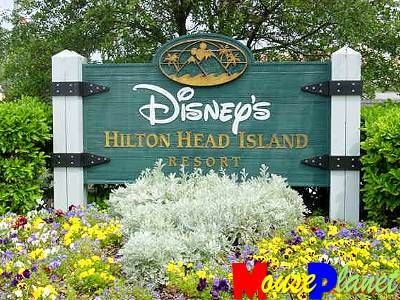 Children will be delighted in a Disney and the southern hospitality and charm of Hilton Head Island. This resort has it all and more with resort activities like kayaking, swimming, fishing and more! Buy at Disney's Hilton Head Island Resort for the experience of a lifetime. Save thousands of dollars and take advantage of the secondary market. This is your chance to buy a luxury Disney timeshare without going over budget. This high end Hilton Head resort features 3 swimming pools, water slides, Disney-theme activities, games, sailboats and more for the family to enjoy. A Disney timeshare can deliver the ultimate vacation year after year. Equipped with all the comforts of luxury living, everyone loves Disney’s Hilton Head Resort and the features that are built into every corner. You are sure to be happy with the outstanding activities. Every day there will be adventures, shows and something new for all ages. If you are not able to use your timeshare, maybe this is the time to sell! BuyATimeshare.com specializes in finding buyers for your Disney timeshare. Buy a timeshare at Disney’s Hilton Head Island Resort and save thousands of dollars on the resale market. The units and amenities go above and beyond hotel features and are far less expensive to buy on the resale market. Contact Disney's Hilton Head Island Resort Specialist Today! Great restaurants and activities for families in the Hilton Head area and easy to fly to with direct air service to Hilton Head.